Each quarter, our communities complete a project to improve their community and then compete for the best “Do It Yourself” award. The entire company has a chance to vote for their favorite projects and the winners receive a team building event! Here are the winners for the best team photo, best curb appeal improvement, & best amenity improvement. Congratulations to all our winners! 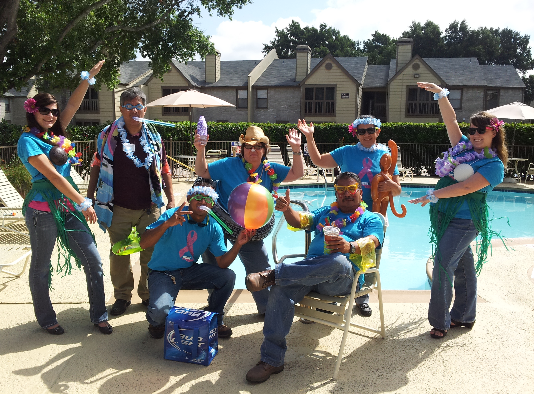 The Best Team Photo award goes to Raintree Apartments. Looks like they are on a Hawaiian vacation. Great job team Raintree! The winner for the Curb Appeal category went to Buckhead at Westminster Apartments for their face lift to their compactor fence! The before and after pictures seen below show the huge improvement made to the community. Great job Buckhead team! 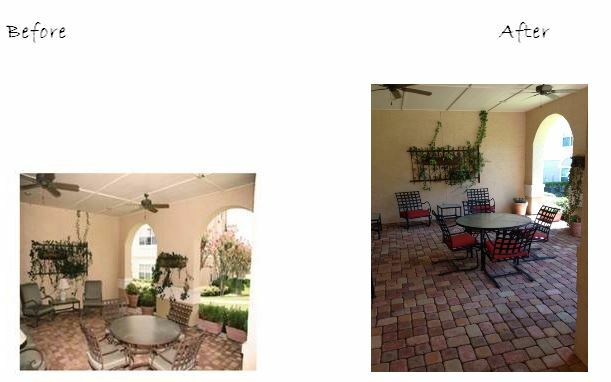 The Amenity Improvement award goes to Silverbrooke and Estancia at Morningstar Apartments for their transformation to the patio and the upgrade to the coffee bar! Congratulations to both properties!